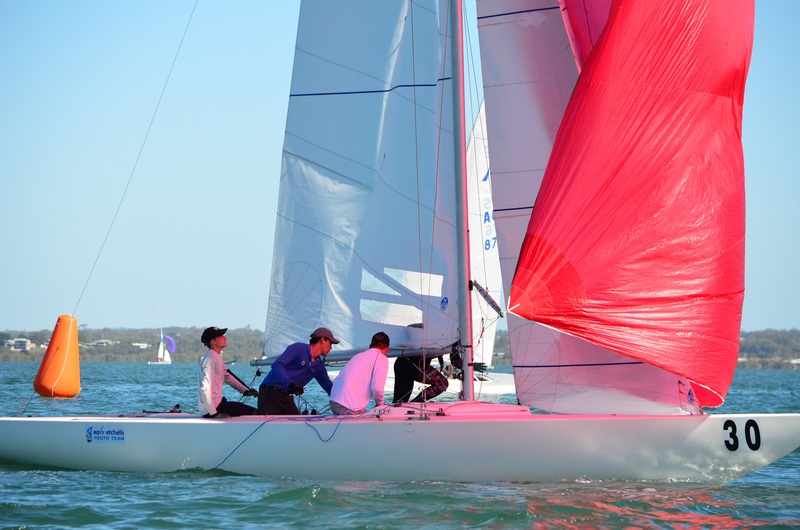 Brisbane Etchells Youth Team is Born! 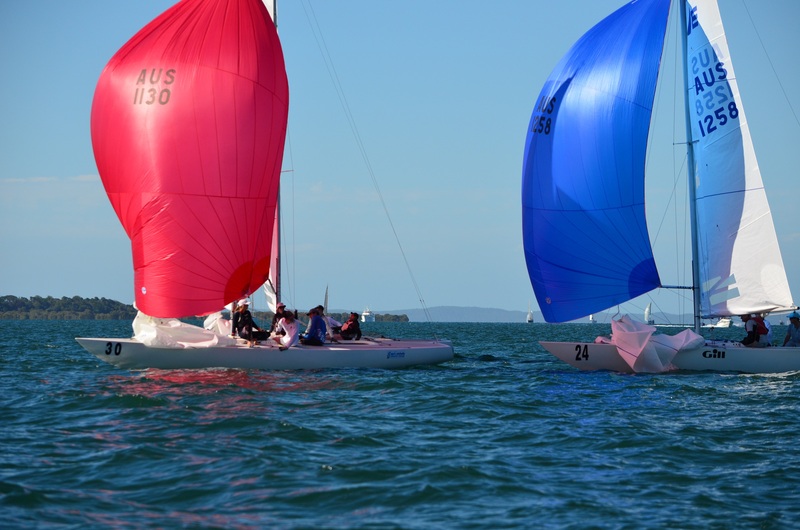 The 2019 Etchells Brisbane Fleet Championships have been run and won last weekend. Of note is the 6th place team, sailing Rogue, of Mitchell Miller, Lachlan Prentice, Samantha Costin and Cooper Richmond. 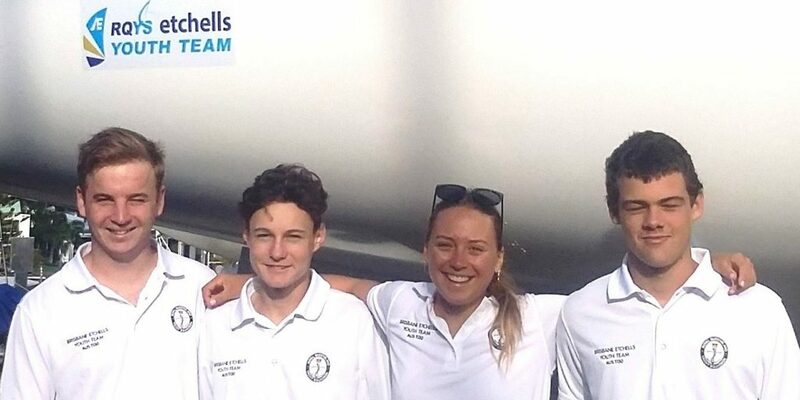 These four sailors make up the initial Youth Team from Etchells Brisbane. 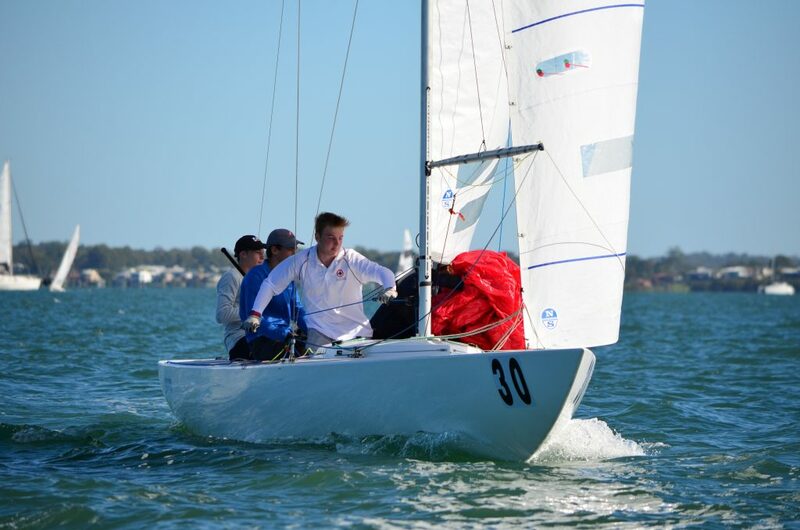 Of their performance last weekend, skipper Mitchell Miller said “It was a great introduction to Etchells sailing. The first day had a bit on, a fair bit of wind (gusting to 25 knots). Second day was a bit difficult but really good. In the future, if we get the opportunity, we would like to do a lot more regatta racing, but for now we need to spend more time on the water as a team … this is awesome stuff, really competitive.” It was also noted that, with an average age on board of 17, their participation greatly reduced the average age of the Etchells fleet. Youth programs are now active in New York (US Youth Etchells Team), Cowes, UK, Royal Prince Alfred Yacht Club and Royal Perth Yacht Club/Freshwater Bay Yacht Club. There is also international competition between New York, Cowes and Perth and it is envisaged that, within the not too distant future (firmly planting the seed) other Youth Teams may join this. Etchells Worlds 2020 may provide for this opportunity. A huge thank you to all personnel involved and to the Royal Queensland Yacht Squadron for their continued support.